After the excitement of TINGS, it was back to the usual club night. 8 members were present and occasionally correct. Whilst Bruno raced his 0-6-0 tank against Graham and Paul’s bullet trains, Allan, Duncan and I talked over wiring the end loop and plans for Stuttgart. Mid-November will come all too quickly. At least for Duncan, who has to solder up another 1,000 pine trees from wire. Altogether a pleasant evening, and we packed up at 9:30 as Allan is up at 2:30am for the school milk round. UPDATE. Paul sent me this photo of his two bullet trains and Graham’s canary. One purchase from TINGS I didn’t mention was a number of packs of etched container shackles and chain from N-Brass. I have a train of Conflats waiting for this finishing touch. A search on RMweb and Google came up with the following photos of model and real thing. The fixings look consistent enough. 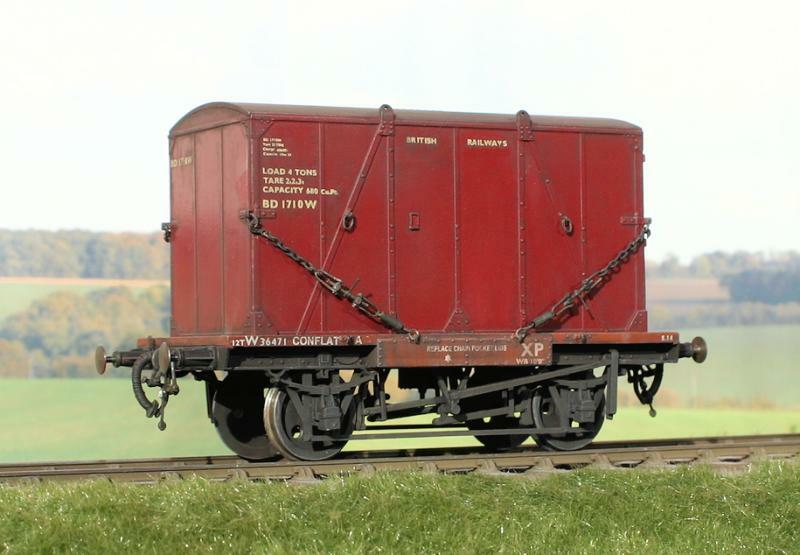 I did note that it was best to have only one small container on a wagon – two containers had to be roped together, then shackled from the ends. 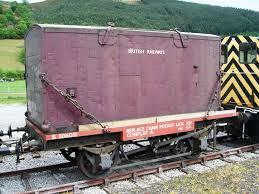 This may be just two difficult for me in N gauge…. 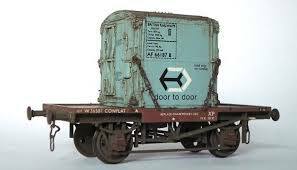 This entry was posted in ESNG, ESNG meetings and tagged ESNG, ESNG Meetings, modular layouts, N gauge. Bookmark the permalink. 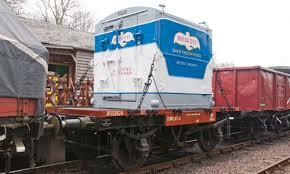 This is the blog of the East Surrey N Gauge model railway club. 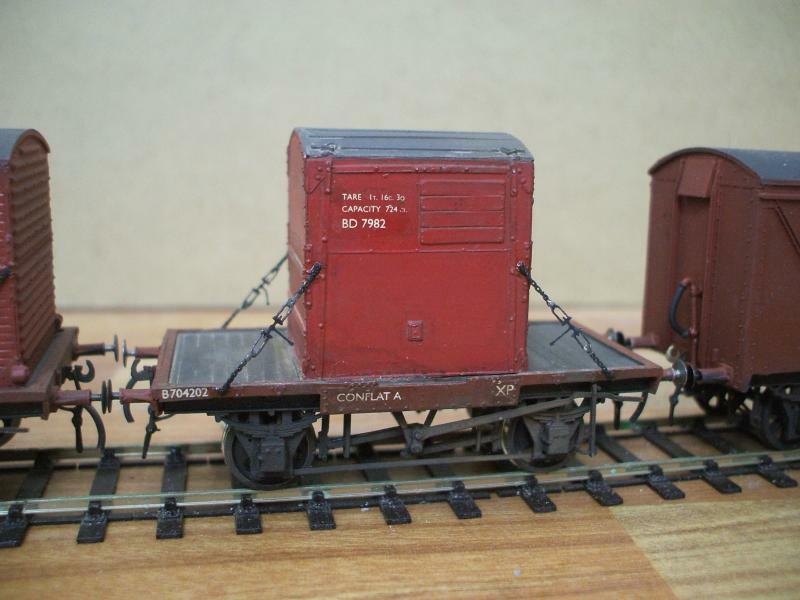 Find out about our club activities here, as well as news and views on N-gauge railway modelling.